On Thursday, 28th September 2017 Sacombank (Cambodia) Plc. 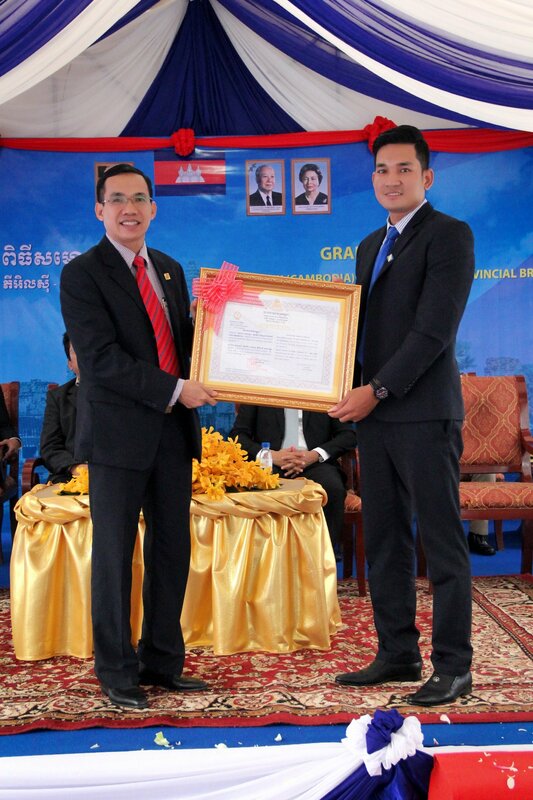 celebrates the opening of its 9th business location in Cambodia- Siem Reap Branch. Siem Reap Branch inauguration took place with the official license giving and ribbon cutting presided over by Mr. Nget Sovannarith- Deputy Director of National Bank of Cambodia on behalf honorable of H.E CHEA CHANTO, governor of National Bank of Cambodia, Mr. Cheang Tola- Siem Reap Provincial Branch Director of National Bank of Cambodia and Mr. Uon Pau – Siem Reap City Deputy Governor. 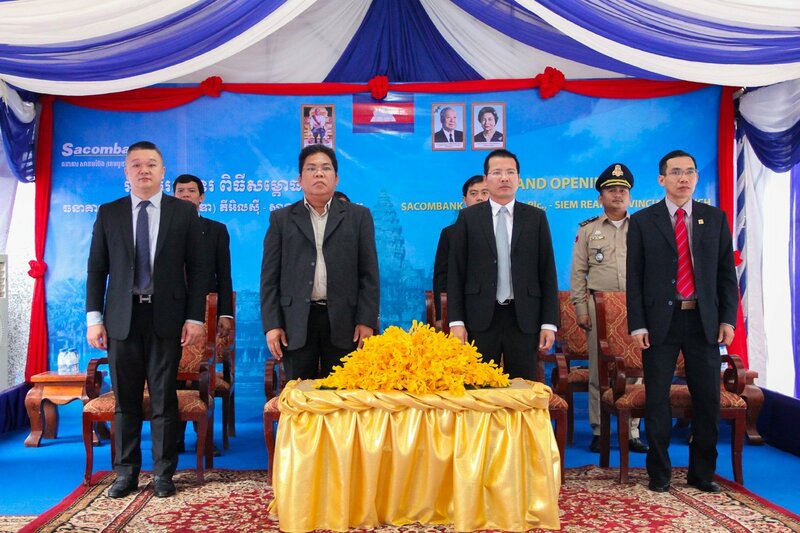 The inauguration was also attended by prominent business owners and high-ranking government official in the province. As of August 2017, Sacombank (Cambodia) Plc. has one headquarter and 7 branches in Cambodia, includes Olympic Branch, Chbar Ampeou Branch, Preah Monivong Branch, Phsar Heng Ly Branch, Pochentong Branch, Kampong Cham branch and Takhmao Branch. Following the orientation “To be the first modern universal bank in the region”, network expansion is one of the bank priorities in order to increase the trading capacity, create more opportunities for individual and business customers and therefore improve the living standards for the community, where the bank operates. Siem Reap branch which located at #0665, National road No. 6, Siem Reap province has been specifically established as the main Service Centre in order to provide our flexible products & services to the customer in Siem Reap province with a large parking space, modern interior and exterior design with advanced functionality and professional staff. To celebrate the grand opening of Siem Reap Branch, customer will receive a special gift for account opening or any transaction at the branch office from 28th September 2017 until the gifts are out of stock. The branch will be open from 8:00 AM to 4:00 PM Monday to Friday. Headquartered and listed in Vietnam, Sacombank is one of the leading commercial banks in the country and continuously growing in Cambodia and Laos with more than 10,000 employees and more than 564 business locations in the region. Sacombank (Cambodia) Plc., a wholly-owned subsidiary of Sacombank, was transformed from a branch in October 2011. The bank offers broad range of banking products & -services to private individuals, self-employed customers as well as small-and medium sized enterprises in the region wide.